I found this image on “pharonic photos” on Facebook. Too bad there was no credit for the person who created this beautiful piece. 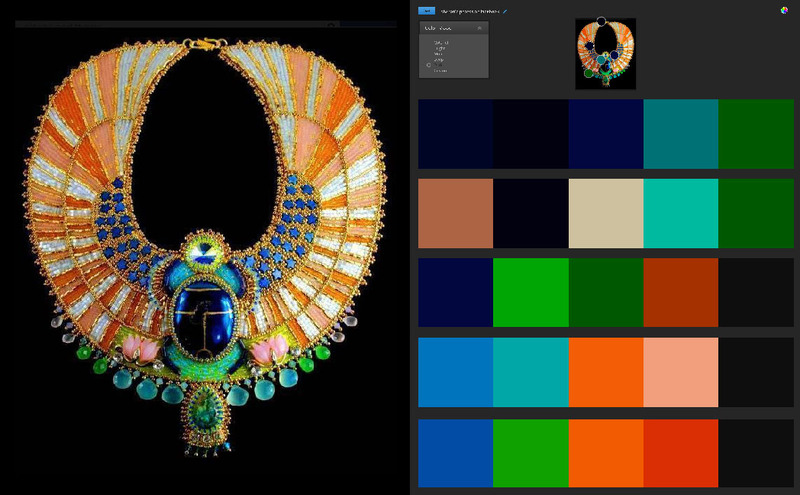 You can import these into your Photoshop swatches library.